In the decades following his emergence on the national scene in 1975, Bruce Springsteen proved to be that rarity among popular musicians: an artist who maintained his status as a frontline recording and performing star, consistently selling millions of albums and selling out arenas and stadiums around the world year after year, as well as retaining widespread critical approbation with ecstatic reviews greeting those discs and shows. Although there have been a few speed bumps along the way in Springsteen's career, the wonder of his nearly unbroken string of critical and commercial successes is that he achieved it while periodically challenging his listeners by going off in unexpected directions, following his muse even when that meant altering the sound of his music or the composition of his backup band, or making his lyrical message overtly political. Of course, it may have been these very sidesteps that kept his image and his music fresh, especially since he always had the fallback of returning to what his fans thought he did best, barnstorming the country with a marathon rock & roll show using his longtime bandmates. Bruce Springsteen was born September 23, 1949 in Freehold, New Jersey, the son of Douglas Springsteen, a bus driver, and Adele (Zirilli) Springsteen, a secretary. He became interested in music after seeing Elvis Presley perform on The Ed Sullivan Show in 1956 and got a guitar, but he didn't start playing seriously until 1963. In 1965, he joined his first band, the Beatles-influenced Castiles. They got as far as playing in New York City, but broke up in 1967 around the time Springsteen graduated from high school and began frequenting clubs in Asbury Park, New Jersey. From there, he briefly joined Earth, a hard rock band in the style of Cream. Also in the hard rock vein was his next group, Child (soon renamed Steel Mill), which featured keyboard player Danny Federici and drummer Vini Lopez. (Later on, guitarist Steve Van Zandt joined on bass.) Steel Mill played in California in 1969, drawing a rave review in San Francisco and even a contract offer from a record label. But they broke up in 1971, and Springsteen formed a big band, the short-lived Dr. Zoom & the Cosmic Boom, quickly superseded by the Bruce Springsteen Band. 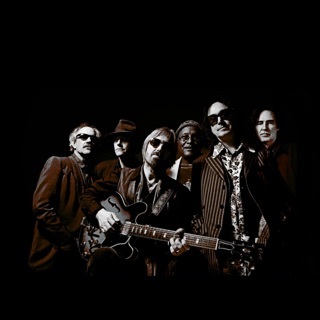 Along with Federici, Lopez, and Van Zandt (who switched back to guitar), this group also included pianist David Sancious and bassist Garry Tallent, plus a horn section that didn't last long before being replaced by a single saxophonist, Clarence Clemons. Due to a lack of work, however, Springsteen broke up the band and began playing solo shows in New York City. It was as a solo performer that he acquired a manager, Mike Appel, who arranged an audition for legendary Columbia talent scout John Hammond. Hammond signed Springsteen to Columbia in 1972. In preparing his debut LP, Greetings from Asbury Park, N.J., Springsteen immediately rehired most of his backup band, Federici, Lopez, Sancious, Tallent, and Clemons. (Van Zandt, on tour with the Dovells, was mostly unavailable.) The album went unnoticed upon its initial release in January 1973 (although Manfred Mann's Earth Band would turn its lead-off track, "Blinded by the Light," into a number one hit four years later, and the LP itself has since gone double platinum). The Wild, the Innocent & the E Street Shuffle (September 1973) also failed to sell despite some rave reviews. (It too has gone double platinum.) The following year, Springsteen revised his backup group -- now dubbed the E Street Band -- as Lopez and Sancious left, and Max Weinberg (drums) and Roy Bittan (piano) joined, and in 1975, Van Zandt returned to the group. With this unit he toured extensively while working on the LP that represented his last chance with Columbia. By the time Born to Run (August 1975) was released, the critics and a significant cult audience were with him, and the title song became a Top 40 hit while the album reached the Top Ten, going on to sell six million copies. Despite this breakthrough, Springsteen's momentum was broken by a legal dispute, as he split from Appel and brought in Jon Landau (a rock critic who had famously called him the "rock & roll future" in a 1974 concert review) as his new manager. The legal issues weren't resolved until 1977, during which time Springsteen was unable to record. (One beneficiary of this problem was Patti Smith, to whom Springsteen gave the composition "Because the Night," which, with some lyrical revisions by her, became her only Top 40 hit in the spring of 1978.) He finally returned in June 1978 with Darkness on the Edge of Town. By then, he had to rebuild his career. 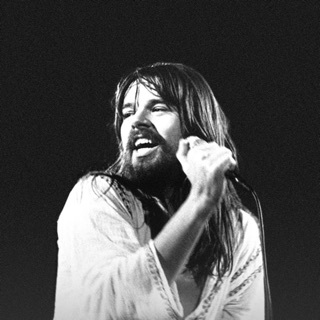 Record labels had recruited their own versions of the Springsteen "heartland rock" sound, in such similar artists as Bob Seger & the Silver Bullet Band (who actually preceded Springsteen but achieved national recognition in his wake), Johnny Cougar (aka John Mellencamp), Tom Petty & the Heartbreakers, Meat Loaf, Eddie Money, and even fellow Jersey Shore residents Southside Johnny & the Asbury Jukes, to name only some of the more successful ones. At the same time, the punk/new wave trend had become the new focus of critical devotion, making Springsteen seem unfashionable. Notwithstanding these challenges, Darkness earned its share of good reviews and achieved Top Ten status, selling three million copies as the single "Prove It All Night" hit the Top 40. (In early 1979, the Pointer Sisters took Springsteen's composition "Fire" into the Top Ten.) Springsteen fully consolidated his status with his next album, the two-LP set The River (October 1980), which hit number one, sold five million copies, and spawned the Top Ten hit "Hungry Heart" and the Top 40 hit "Fade Away." (In 1981-1982, Gary U.S. Bonds reached the Top 40 with two Springsteen compositions, "This Little Girl" and "Out of Work.") But having finally topped the charts, Springsteen experimented on his next album, preferring the demo recordings of the songs he had made for Nebraska (September 1982) to full-band studio versions, especially given the dark subject matter of his lyrics. The stark LP nevertheless hit the Top Ten and sold a million copies without benefit of a hit single or a promotional tour. (Van Zandt amicably left the E Street Band for a solo career at this point and was replaced by Nils Lofgren.) But then came Born in the U.S.A. (June 1984) and a two-year international tour. The album hit number one, threw off seven Top Ten hits ("Dancing in the Dark," which earned Springsteen his first Grammy Award for Best Male Rock Vocal Performance, "Cover Me," "Born in the U.S.A.," "I'm on Fire," "Glory Days," "I'm Goin' Down," and "My Hometown"), and sold 15 million copies, putting Springsteen in the pop heavens with Michael Jackson and Prince. For his next album, he finally exploited his reputation as a live performer by releasing the five-LP/three-CD box set Bruce Springsteen & the E Street Band Live/1975-85 (November 1986), which topped the charts, was certified platinum 13 times, and spawned a Top Ten hit in a cover of Edwin Starr's "War." (In March 1987, "the Barbusters" -- actually Joan Jett & the Blackhearts, took Springsteen's composition "Light of Day," written for the movie of the same name, into the Top 40.) Characteristically, Springsteen returned to studio work with a more introverted effort, Tunnel of Love (October 1987), which presaged his 1989 divorce from his first wife, actress Julianne Phillips. (He married a second time, to singer/songwriter/guitarist Patti Scialfa, who had joined the E Street Band as a backup vocalist in 1984.) The album was another number one hit, selling three million copies and producing two Top Ten singles, "Brilliant Disguise" and the title song, as well as the Top 40 hit "One Step Up." The album earned him a second male rock vocal Grammy. (In the spring of 1988, Natalie Cole covered the Springsteen B-side "Pink Cadillac" for a Top Ten hit.) Springsteen retreated from public view in the late '80s, breaking up the E Street Band in November 1989. 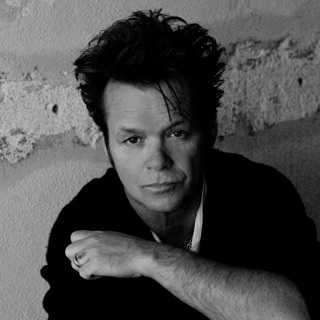 He returned to action in March 1992 with a new backup band, simultaneously releasing two albums, Human Touch and Lucky Town, which entered the charts at numbers two and three, respectively, each going platinum. A double-sided single combining "Human Touch" and "Better Days" was a Top 40 hit. Of course, this was a relative fall-off from the commercial heights of the mid-'80s, but Springsteen was undeterred. He next contributed the moody ballad "Streets of Philadelphia" to the soundtrack of Philadelphia, film director Jonathan Demme's 1993 depiction of a lawyer fighting an unjust termination for AIDS. The recording became a Top Ten hit, and the song went on to win Springsteen four Grammys (Song of the Year, Best Rock Song, best song written for a motion picture or television, and another for male rock vocal) and the Academy Award for best song. In early 1995, Springsteen reconvened the E Street Band to record a few new tracks for his Greatest Hits (February 1995). The album topped the charts and sold four million copies, with one of the new songs, "Secret Garden," eventually reaching the Top 40. Despite this success, Springsteen resisted the temptation to reunite with the E Street Band on an ongoing basis at this point, instead recording another low-key, downcast, near-acoustic effort in the style of Nebraska, The Ghost of Tom Joad (November 1995), and embarking on a solo tour to promote it. The LP won a Grammy for best contemporary folk album, but it missed the Top Ten and only went gold. A much more prolific songwriter and recording artist than what was reflected in his legitimately released discography, Springsteen went into his vault of unreleased material and assembled the four-CD box set Tracks (November 1998), which went platinum. Whether inspired by the playing he heard on those recordings, bowing to constant fan pressure, or simply recognizing the musicians with whom he had made his most successful music, Springsteen finally reunited the E Street Band in 1999, beginning with a performance at his induction into the Rock & Roll Hall of Fame. All the members from the 1974-1989 edition of the group returned. (Characteristically, Springsteen sidestepped the question of whether to use Van Zandt or Lofgren in the guitar position by rehiring both of them.) They embarked on a world tour that lasted until mid-2000, its final dates resulting in the album Live in New York City, which hit the Top Ten and sold a million copies. Springsteen's writing process in coming up with a new rock album to be recorded with members of the E Street Band was given greater impetus in the wake of the terrorist attacks of September 11, 2001, and the resulting disc, The Rising (July 2002), contained songs that reflected on the tragedy. The album hit number one and sold two million copies, winning the Grammy for rock album, and the title song won for rock song and male rock vocal. Following another lengthy tour with the E Street Band, Springsteen again returned to the style and mood of Nebraska on another solo recording, Devils & Dust (April 2005), taking to the road alone to promote it. The album hit number one and went gold, winning a Grammy for Best Solo Rock Vocal Performance. One year later, Springsteen unveiled another new musical approach when he presented We Shall Overcome: The Seeger Sessions (April 2006), an album on which he played new arrangements of folk songs associated with Pete Seeger, played by a specially assembled Sessions Band. The album reached the Top Ten and went gold as Springsteen toured with the group. It also won the Grammy for Best Traditional Folk Album. The tour led to a concert recording, Live in Dublin (June 2007), which reached the Top 40. Once again, Springsteen recorded a new rock album, Magic (October 2007), as a precursor to re-forming the E Street Band and going out on another long tour. The album hit number one and went platinum, with the song "Radio Nowhere" earning Grammys for rock song and solo rock vocal. (Another track from the album, "Girls in Their Summer Clothes," won the rock song Grammy the following year.) Sadly, longtime E Street Band keyboardist Danny Federici succumbed to a three-year battle with melanoma on April 17, 2008, his death causing the first irrevocable change in the group's personnel (saxophonist Clarence Clemons would die on June 18, 2011 due to complications from a stroke). 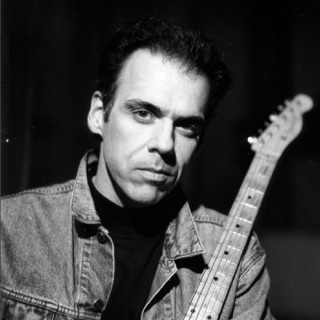 Federici was replaced by Charles Giordano, who had played with Springsteen previously in the Sessions Band. Springsteen finished the tour in 2008 and held several additional shows in support of Senator Barack Obama, whose presidential campaign had kicked into hyperdrive earlier that year. While playing an Obama rally in early November, Springsteen debuted material from his forthcoming album, Working on a Dream, whose tracks had been recorded with the E Street Band during breaks in the group's previous tour. The resulting album, which was the last to feature contributions from Federici (as well as his son, Jason), arrived on January 27, 2009, one week after Obama's historic inauguration. It immediately hit number one, Springsteen's ninth album to top the charts over a period of three decades, and it went on to go gold and win him another Grammy for solo rock vocal. In February, Springsteen and the E Street Band provided the half-time entertainment at Super Bowl XLIII. The group's tour, which featured full-length performances of some of Springsteen's classic albums at selected shows, ran through November 22, 2009. In December, the 60-year-old was ranked fourth among the top touring acts of the first decade of the 21st century, behind only the Rolling Stones, U2, and Madonna. The same month he was a recipient of the Kennedy Center Honors. Springsteen's 2010 was devoted to a revival of Darkness on the Edge of Town, with the 1978 masterpiece receiving an expanded box set called The Promise: The Making of Darkness on the Edge of Town; the set contained a feature-length documentary and a double-disc set of outtakes that was also available separately. As Springsteen began work on a studio album produced by Ron Aniello, who'd previously worked with Patti Scialfa, Clarence Clemons died. Clemons' last recorded solo appeared on "Land of Hope and Dreams," one of many politically charged songs on the resulting album, Wrecking Ball. Supported by a major media blitz that included a showcase week of Springsteen covers on Late Night with Jimmy Fallon and the Boss delivering a keynote address at South by Southwest, Wrecking Ball appeared the first week of March 2012. Before the end of that month, he embarked on a mammoth world tour to promote the album, on which he eventually took in 26 countries over the course of 18 months. Late in 2013, it was announced that the E Street Band would receive a belated induction into the Rock & Roll Hall of Fame in early 2014. Prior to the induction ceremony came High Hopes, Springsteen's 18th studio album. Inspired in part by Rage Against the Machine guitarist Tom Morello, who had temporarily replaced Van Zandt for the last six months of the Wrecking Ball tour and also played on the album, High Hopes was a collection of covers, reinterpretations of old songs, and leftovers; it appeared in mid-January 2014 and easily reached number one on the album charts. He toured with the E Street Band through the late spring, and also issued the EP American Beauty, which consisted of four unreleased songs from the High Hopes sessions. In late 2015, Springsteen released another audio/video box set offering an in-depth look at one of his classic albums. The Ties That Bind: The River Collection offered a remastered version of Springsteen's 1980 album, along with an expansive disc of outtakes, an early single-LP version of the album Springsteen pulled prior to release, an original documentary on the making of The River, and a complete concert filmed in Tempe, Arizona in 1980. In the fall of 2016, Springsteen released a memoir entitled Born to Run, which was accompanied by a career-spanning collection called Chapter & Verse that he compiled himself.